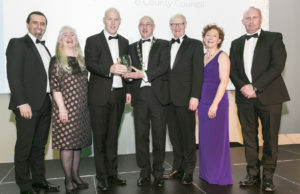 The Urban Co-op is celebrating winning the “Best Business Working with the Community” award at the annual All Ireland Community & Council Awards 2019, in association with IPB Insurance and LAMA. Now in their 13th year, the awards highlight and recognise communities and councils working together, bringing national recognition to projects and developments that may otherwise go unrecognised. 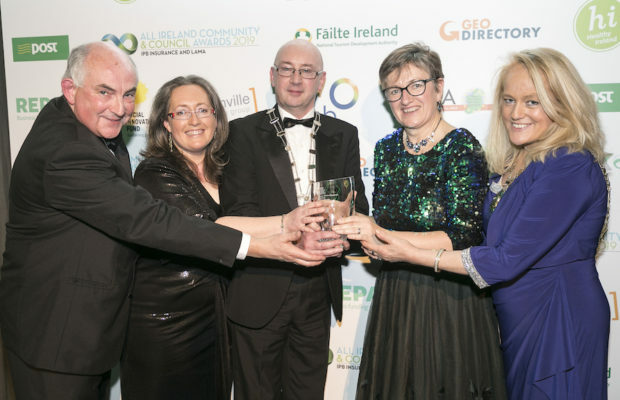 The awards were presented at a ceremony in Croke Park, attended by over 500 people from community organisations and councils all over Ireland. The Best Business Working with the Community category included projects from Wicklow, Kerry and Dublin. The award was accepted by Co-op board members Deirdre MacMahon and Anne Maher. 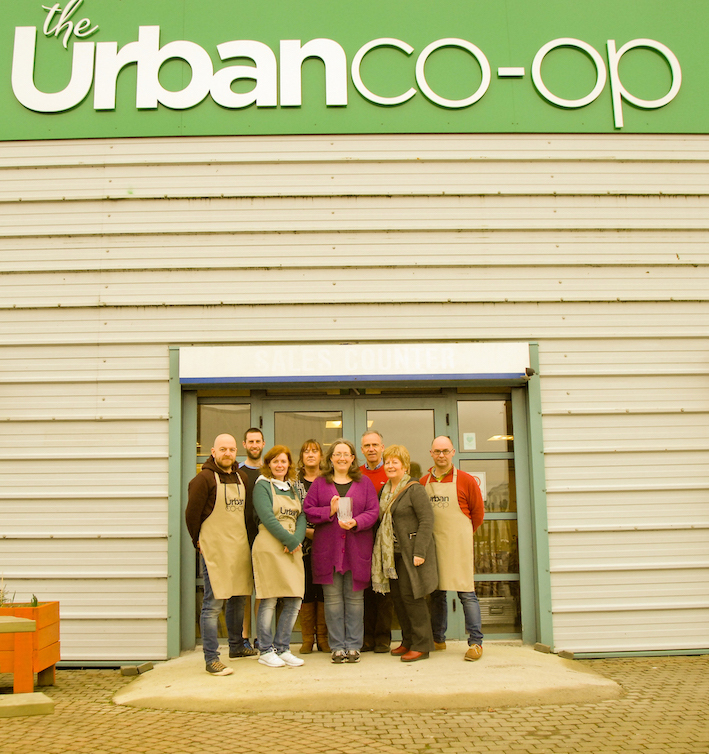 The Urban Co-op Win is well deserved as they have been in operation for over 5 years and have come a long way from humble beginnings as a members’ buying club back in 2013. The Co-op initially started with 19 people buying vegetables from 4 local suppliers. Fast forward a few short years and the Co-op is now a large store in the Eastway Business Park selling a wide range of local and organic fruit and vegetables, meat, dairy and whole foods, from over 80 mostly local suppliers. It is an ideal place to shop for those on special diets with a large section of gluten-free flours, dairy-free yogurts and many more special items. 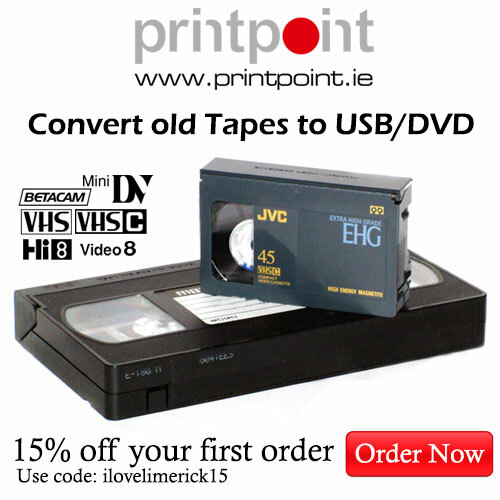 In fact, the staff prides themselves on being able to source unusual items for the members. It is a hub for zero waste shopping with a large range of bulk-buy grains and pulses, and refills of household cleaning and personal care products. The fruit and vegetables are sold loose, and many of the wholefoods brands use fully compostable packaging. The premises also have rooms available to rent which has brought a wide range of classes to the members, including yoga, Pilates, mindfulness and meditation. There are regular ‘Wellness Weekend’ events, community gatherings, educational talks and cooking demonstrations. The Co-op now employs 7 staff but is still run by a voluntary Board which invites and encourages volunteerism from, not only the members but the wider community. There are many regular volunteers, serving in many different capacities, from shop duties to organising events and serving on committees. Each new volunteer brings new ideas and new energy, and are valued members of the team. 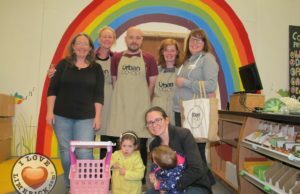 “This award is a great achievement for the Co-op and a timely reminder that co-ops have an important role to play in the community,” said Deirdre MacMahon, Chairperson about the Urban Co-op Win. “It is a wonderful acknowledgement of the incredibly hard work of our team, many of whom are volunteers. There has been a tremendous amount of work going on since the move to the new premises last August, and we are very grateful for the dedication and commitment from everyone.” The Urban Co-op would like to thank all our members, staff, volunteers, suppliers, friends, supporters and board members, as well as Limerick Council, for their help and contribution to growing our co-op community. We are so proud and honoured to have won this award! Open Tuesdays 9.30 to 5, Wednesdays 9.30 to 6, Thursdays 9.30 to 8, Fridays 9.30 to 6 and Saturdays from 10 to 4. For more information contact Deirdre MacMahon, Chairperson on 086-3766787 or Brian Rafferty, Manager 061-294289.